When it comes to garage door replacement, the professionals at 31-W Insulation are some of the most knowledgeable and effective in the industry. We have been serving residents of Jonesboro, Georgia, and throughout the southeastern U.S. since 1972, so you can trust that we have extensive experience in performing home improvement installations of all kinds. Plus, our installers are all our own trusted and highly trained employees, not subcontractors, and they proudly uphold the high standards of workmanship and customer service that have earned us an A+ rating with the Better Business Bureau. What’s more, there are plenty of customization options available for making your new door look the way you want it to for enhanced curb appeal. We’ll help you choose from a variety of door styles, colors, window designs, and decorative hardware to perfectly complement your home. 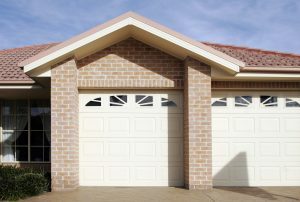 For more information about having our garage door specialists install a replacement on the garage of your Jonesboro, GA, home, contact 31-W Insulation today.